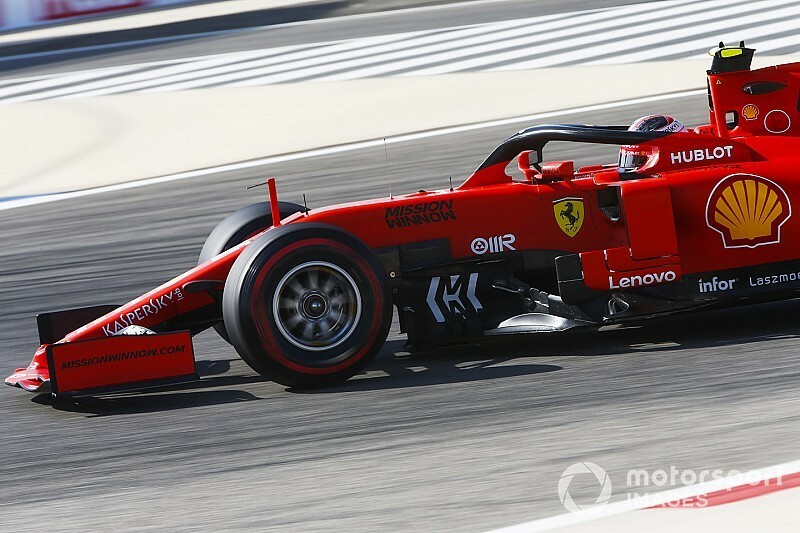 Ferrari immediately rebounded from a poor Australian Grand Prix by setting the pace in first practice for Formula 1's Bahrain Grand Prix, nearly a second clear of Mercedes. Charles Leclerc set a best lap of 1m30.354s to lead the way in the blistering daytime heat, 0.263 seconds clear of Sebastian Vettel in a Ferrari one-two. Melbourne race winner Valtteri Bottas was third fastest, 0.974s down on Vettel, while Lewis Hamilton was more than 1.2s off the pace in fourth. It looked as though Mercedes was in terrific shape in the early part of the session, as Bottas and Hamilton both used medium tyres to lap quicker than the soft-tyred Ferraris initially. Bottas led the way on a 1m32.340s and it took several attempts before Vettel fractionally displaced him at the top of the timesheet. 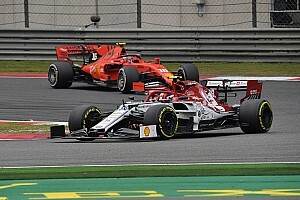 Ferrari then took a big step forward, as Vettel broke into the 1m31s and Leclerc slotted into second on 1m31.884s, 0.137s down on his teammate. 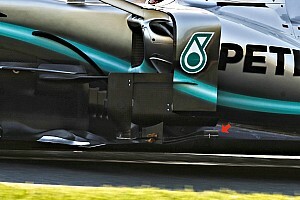 When Mercedes finally bolted soft tyres onto its cars, Bottas leapt back to the top, despite a small moment at Turn 10, setting a 1m31.328s best to stretch four tenths clear of Ferrari. Hamilton then slotted into second spot, just under three tenths down on Bottas, despite running wide at the final corner. But Ferrari made one final push, with both cars taking to the track on soft tyres again and breaking into the 1m30s. Vettel moved briefly to the top with a 1m30.617s effort, before Leclerc went faster still to claim the top spot and make an emphatic statement at the start of an important weekend for the Scuderia. The Red Bull-Honda of Max Verstappen enjoyed brief spells at the top but ultimately ended the session fifth, encouragingly less than a tenth slower than Hamilton's Mercedes. Pierre Gasly endured a difficult start to the session in the second Red Bull, complaining it was "super-oversteery" on the apex of corners on the hard tyre and asking the team to check the engine braking settings. He finally hooked a lap together on soft tyres that was less than two tenths down on Verstappen. The McLaren of Carlos Sainz, which has taken a new Renault engine for this weekend following a fiery MGU-K failure in the Australian Grand Prix, was an impressive seventh fastest, just 0.137s down on Gasly. 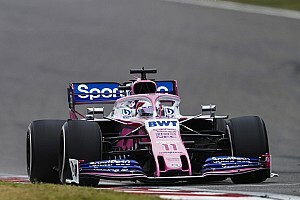 Nico Hulkenberg's Renault – which collided with Antonio Giovinazzi's Alfa Romeo in the closing minutes of the session – was eighth, ahead of Daniil Kvyat's Toro Rosso-Honda and Kimi Raikkonen's Alfa. Daniel Ricciardo carried the replacement Renault chassis he's been given following the first-lap damage he suffered in Australia to the 11th fastest time, while Kevin Magnussen was 12th in the best of the Haas-Ferraris. Williams once again brought up the rear of the field, with George Russell incurring car damage from a pitlane start and suffering a spin. He was almost seven tenths down on the Racing Point of Lance Stroll, who suffered his own spin exiting Turn 4 early on and struck the inside barrier.